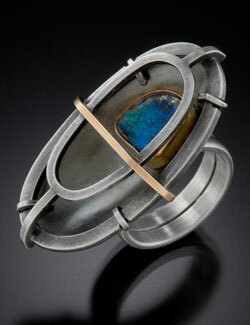 Sarah Chapman is known for a unique design sensibility, balancing the sculptural forms of her jewelry with the softness of stones and surface textures. 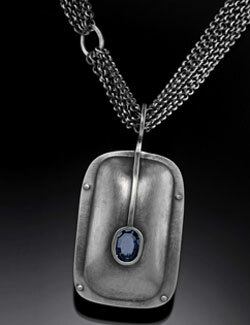 A studio jeweler and educator for over twenty years, Sarah values her passion for the metalsmithing field, demonstrated by an enthusiasm for continuing self-education and through educating others. Sarah’s work is inspired by architecture, by nature as architect, and by her desire to build. 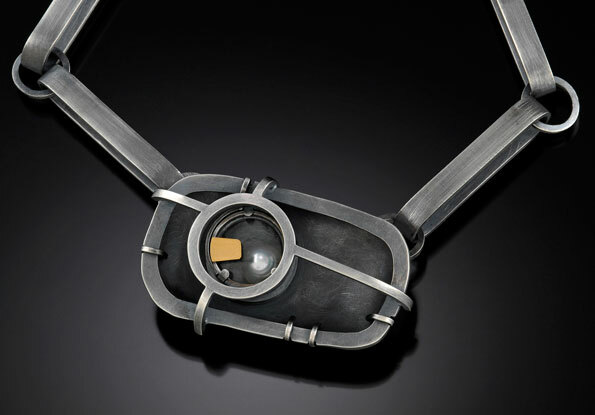 She makes hand-fabricated metal jewelry, aesthetically merging the industrial and natural worlds with an emphasis on functionality. 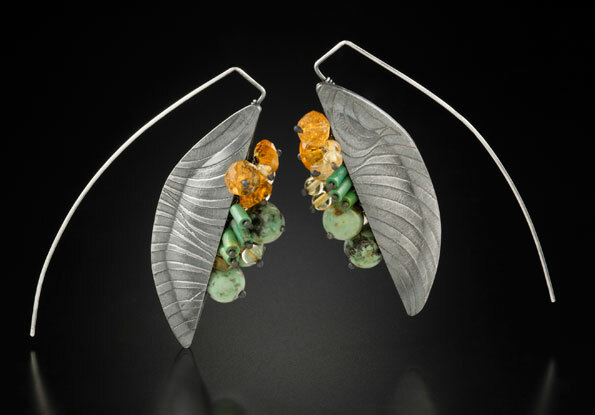 Since 2008, Sarah has been using recycled, conflict-free, and SCS certified gold and sterling silver when fabricating her jewelry. Sarah grew up in Chicago and currently lives and works in Minneapolis. 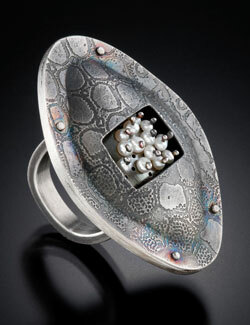 Her studio space is in the Casket Arts Building, where she also teaches at Quench Jewelry Arts.